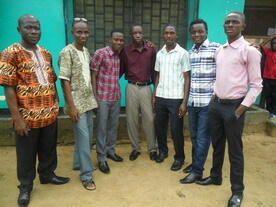 SCHOOLS ARE REOPENING IN LIBERIA! The Ministry of Education has announced the reopening of Schools for academic 2015 this month! (January 2015), as announced by President Ellen Johnson-Sirleaf . This is GOOD NEWS for LIBERIA!! THIS MAKES A HUGE DIFFERENCE IN THE LIFE OF A CHILD!!!! 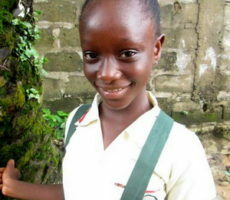 Like so many others, Bintu Yusef can only go to school if she has the funds. 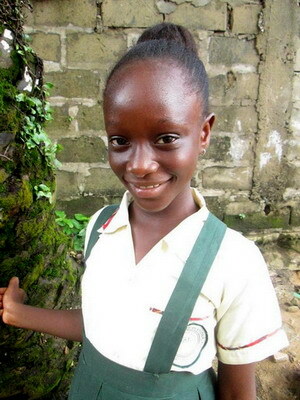 Fortunate for her, the Mitchell Elementary School in Manitoba did a Fundraising to put 8 children to school this year, and Bintu was one of them. 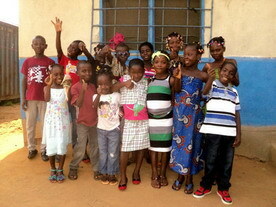 We are hoping to put over 120 children and youth to school this semester. To do this we will need your help. 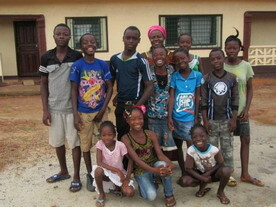 We have added Ebola Orphans to our Children’s Homes and these children do not have sponsors. Please let us know if you would like to sponsor a child to school. We now have ON LINE DONATING available. Click here and scroll down to paypal. 3. January 26-31, 2015…….Final preparation of schools. 4. February 2, 2015……. Classes begin for the first instructional period. Since Ebola is still in Liberia, the Minister of Education is requesting that all schools take in less students and that they take the necessary preventive measures by having sanitizing materials on campus for proper handwashing. The Minister of Education is working with partners in order to distribute Thermometers to ALL schools in due course. My heart is FILLED TO OVERFLOWING with gratitude for you and the kindness you shared with our friends in Liberia this past year. Since the last civil war in 2003, this has been our most challenging year due to Ebola. Without your generous giving, this work would not be what it is today. Thank you for caring for those in need. 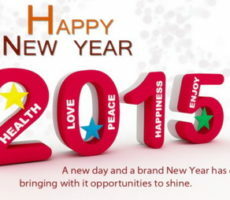 My prayer for you today is that 2015 would be a year of MANY BLESSINGS returned back to you and your family. 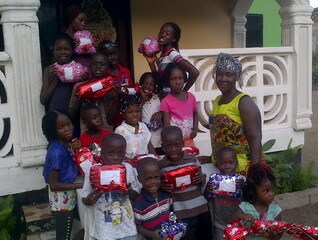 “Gramma Karen’s play mates” Our friends in Liberia are thanking you for making their Christmas a Happy Time!! 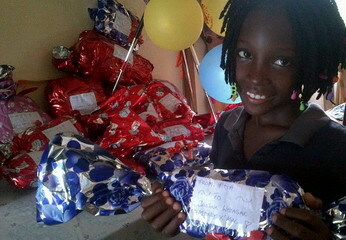 Eric and Kamah’s children show their gifts. “Thank you for sharing with us” says Justina in the photo above. Though we had many challenges with Ebola and now Ma Esther’s House Fire, we had many highlights as well! 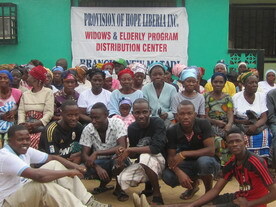 G. Our Widows are getting their rice and our Mat to Mattress Project is going strong. If you missed out on the 12 Days of Hope, but would still like to take part, it is not too late. We are running this to the very end of December. Which is today! May you step into 2015 with a confidence that God is with you no matter what you face and that Goodness & Mercy are your friends. They follow you wherever you go! 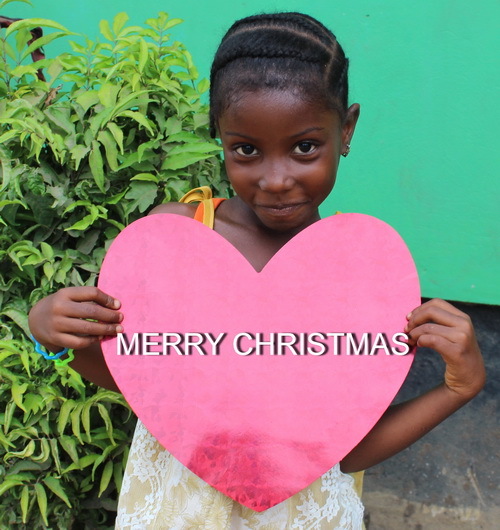 David + Karen along with Provision of Hope’s LEADERS and FRIENDS in LIBERIA and GHANA are wishing you the “Best Ever” in 2014. May your hearts be filled to overflowing with the light and love of Christ. 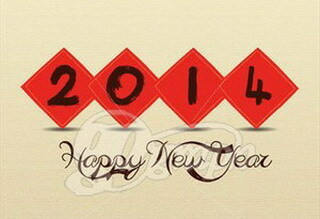 May He grant you the desire of your heart and may 2014 exceed your greatest expectations!!! Dapae + Rita’s children wave hello. 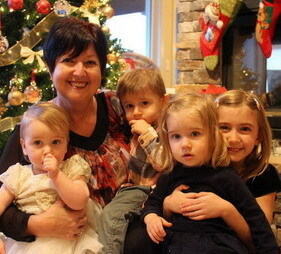 Ma Esther’s Children send a warm greeting. Eric and Kamah send their love & appreciation. The Dyega Family sends a BIG thank you. Our widows keep praying for you. 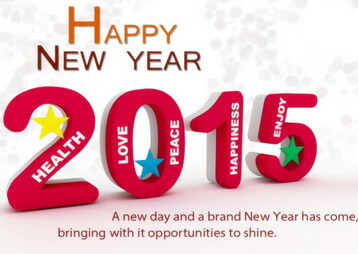 Our students at the Youth Center wish you a Blessed New Year. 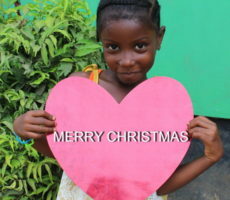 Our friends at the Buduburam Refugee Camp are deeply grateful for the help given to them. We are so grateful for your part in making this another fruitful year! God bless you and return to you the kindness you have sown. 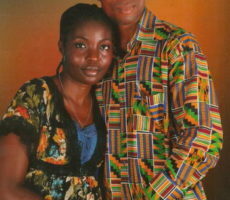 Congratulations Malcolm Harris & Kula Kromah on your upcoming Wedding!!! Saturday March 30th Malcolm will take Kula to be his beloved wife. What a blessing!!! We celebrate with you!! 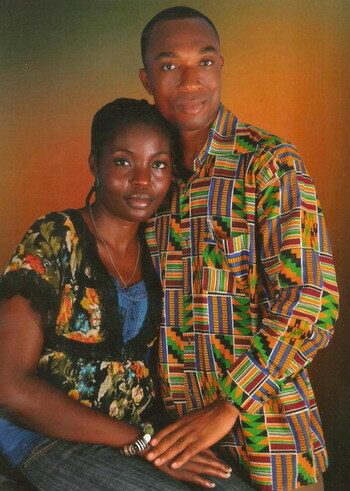 Malcolm and Kula are both dedicated Christians, who are looking forward to their journey together. I love the story of how they met. 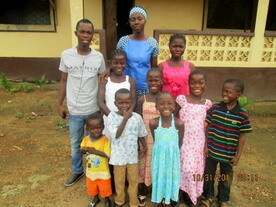 Provision of Hope sent Malcolm on an errand to find a room to rent, for a refugee family coming from the Buduburam Camp. Kula was the person he had to go see about the available room. I think this was love at first sight!!! Right Malcolm?!!!! 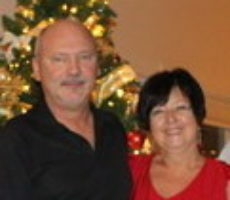 Malcolm has been serving as the Financial Administrator and Director of the Discipleship Training Center since 2009. Provision of Hope is blessed to have Malcolm on staff, as our Overall Director. He serves with so much grace and humility. Kula specializes in interior design and today works for a company in Liberia called Unique Service. Kula is a strong woman of faith and will be a real gift to Malcolm and this ministry. Kula we welcome you into our family. You are a very special woman and I am confident that you will be well taken care of by Malcolm all the days of your life. Malcolm has already proven his character to us over the years. 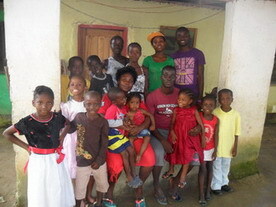 Thank you Malcolm for your dedicated service to our work with the needy in Liberia. We honor you for your labor of love to your fellowman and most of all to God, who called you to this field. If anyone would like to give them a gift towards their wedding, I know they would be most grateful. IF you email Karen Barkman at karen@provisionofhope.com we can be sure Malcolm and Kula get this in time for their wedding!